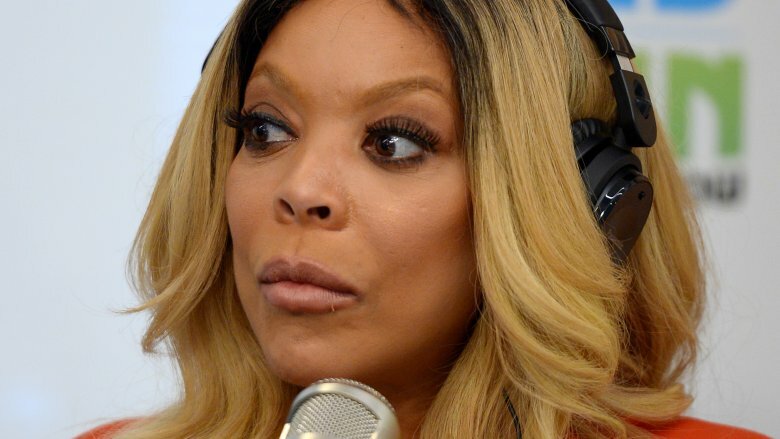 Television personality Wendy Williams is breaking her silence. Just ahead of the new year, the Wendy Williams Show host reportedly had her lawyers send the website Love B. Scott a cease and desist letter after the gossip rag claimed that her husband, businessman Kevin Hunter, was expecting a child with his longtime reported mistress, massage therapist Sharina Hudson. 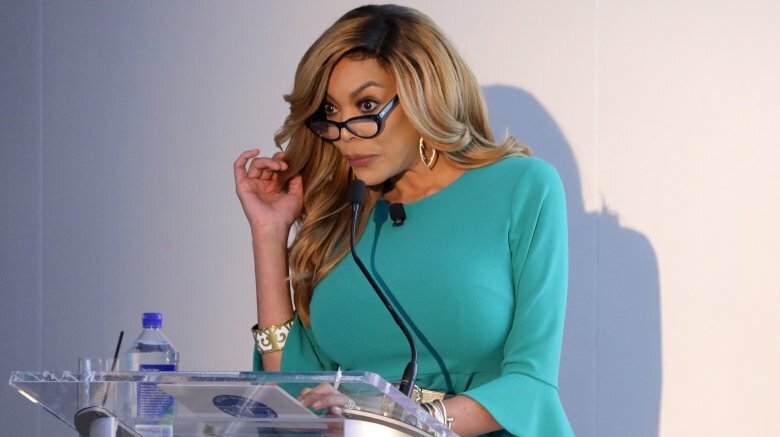 "Mrs. Wendy Williams-Hunter and Mr. Kevin Hunter categorically deny each and every allegation made by your 'sources,' even if not specifically enumerated herein," the letter in question reportedly read, in part. According to the media outlet, the former shock jock's legal team allegedly "[demanded] a retraction" on its original report regarding Hudson's alleged pregnancy. A source told Love B. Scott at the time, "She's allegedly pregnant and still living just down the street from their house. Word around the show is that they're going to divorce sometime now that little Kevin has gone college." Readers may already be aware that Williams, 54, and Hunter, 46, welcomed son Kevin Hunter Jr. in 2000 after tying the knot in 1997. However, reports that there was trouble brewing in their nearly 20-year marriage first cropped up in September 2017. As Nicki Swift previously reported, the Daily Mail released a shocking report at the time over Hunter's alleged decade-long affair with 32-year-old Hudson. At the time, the publication claimed that Hunter had been splitting his time between the $765,000 house he supposedly bought his long-rumored mistress in New Jersey, located near the $2 million home he and Williams share. "Kevin is with Sharina three or four times a week, often staying over," a source told the Daily Mail last fall, adding, "They go to the gym together, they go out to restaurants together as if they're a normal couple. But then he goes home to Wendy as if everything is normal there, too. He's living a double life." The infidelity allegations quickly went viral, leading Williams' rep Ronn Torossian to release in a statement, "One plus one does not equal three. This woman is a friend but there is no 'there' there" (via E! News). For her part, Williams personally addressed the cheating scandal on her talk show shortly after, telling her audience, "It's weird doing Hot Topics and being a hot topic. It's some sort of weird story going around the Internet regarding my husband." While showing off her wedding ring, she added, "You can believe what you want, but … I stand by my guy." Noting that the two had "commuted this morning," Williams went on to say, "All is well in Hunterville. Don't believe the hype and if there was hype, believe me you — I would let you know." More recently, a source cited by Hollywood Life claimed in late December 2018, "Wendy's marriage with Kevin is as solid as ever. She is laughing at some of the infidelity rumors, which have popped up yet again." Noting that the controversial TV star is "happily married," the insider alleged that she "has no plans to leave or divorce Kevin," but added, "Wendy doesn't appreciate people taking shots at her or her marriage." We can't say that we blame her. The ongoing reports over Williams' marital woes unfortunately follow an already difficult year for the talk show host. 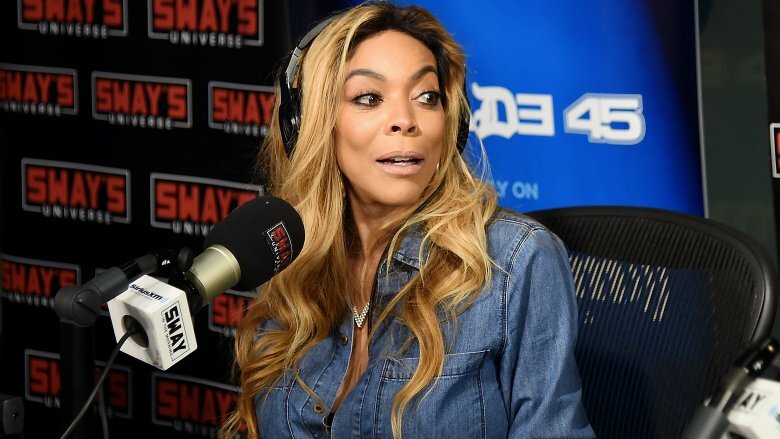 Just before The Wendy Williams Show went on hiatus for the holidays, the former DJ addressed recent concerns over her health after appearing to slur her words during a taping in late December 2018. "I sincerely apologize if you feel that today's show was less than stellar," Williams, who'd suffered a hairline fracture on her right shoulder just days before, wrote to her fans on Instagram at the time, explaining that she'd taken pain medication for the first time because her arm "[hurt] like hell." She added, "I did that to power through and try to deliver a great show for you, against the better judgement of the many people around me who genuinely care for my well-being. I really do ride or die for my craft and give 200%." It should be noted that this wasn't the first time Williams' health affected her show in 2018. After experiencing serious health problems stemming from Graves' disease and hyperthyroidism, she famously took three weeks off from work on doctor's orders in February 2018, and has since encouraged her audience to prioritize their own health. Despite the ongoing speculation about her marriage and health condition, Williams seems to be looking toward the future. She concluded a recent note on social media, "I promise you a better Wendy in 2019. I will get some much needed rest and healing over these next couple of weeks."